MUMBAI: Claude VonStroke is all set to release Live In Detroit, an album comprising his live performance at the mega festival. 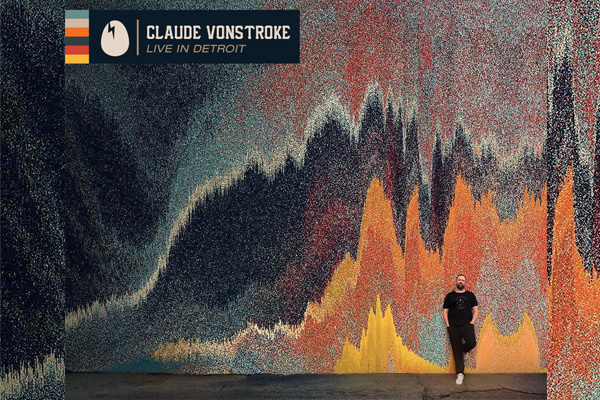 Claude Von Stroke Live From Detroit is the first ever live mix album released by Dirtybird Records, the label VonStroke founded in San Francisco in 2005. VonStroke has always loved mix compilations, coming of age listening to the likes of Andrew Weatherall for Fabric and Claude Young’s DJ Kicks. The chance to put out a live recording from his hometown of Detroit, in collaboration with one of the world’s largest and respected electronic music festivals, proved irresistible. VonStroke spent four months A+R'ing the mix, pre-clearing nearly 150 tracks in the weeks leading up to the album, giving him the chance to DJ at Movement with a huge variety of music. He sourced exclusive VIP edits from the Dirtybird family including Catz ‘n Dogz, Mikey Lion and Sacha Robotti, and a brand new remix of Claude’s timeless, Who’s Afraid of Detroit? The album came to embody the Dirtybird A+R ethic, featuring seven never-before-heard tracks that VonStroke discovered, and added to the release. So while the album includes nods to the label’s past, it also includes new artists, and and an original VonStroke track called Maharaja. “I’ve played Movement more than 10 times, and every time it’s one of the most nerve racking shows of the year,” said VonStroke. “I always want to bring the hottest possible set for Detroit, it’s where it all started, and my parents always come watch. My set is very much an old-school style DJ set, all music no-one’s heard before, special versions, and secret edits, all the stuff I’ve been saving just for this performance. It seems crazy to release a mix album in today’s world, but the amount of incredible original music I have collected from both known and unknown producers will make this something people can get really excited about,” he further added. VonStroke came of age in Detroit, he moved there as an 11 year old, before leaving to San Francisco at age 26. This May he fulfilled a dream of his, closing the world famous Movement Festival, as the headlining act on Saturday night. It was a surreal moment for the man who used to eat coney dogs (and still does) across the street from his father’s work downtown. MUMBAI: Grammy Award-winning artist/producer duo The Chainsmokers’ new remix package for their single ‘Something Just Like This’ with Coldplay is officially available now .